With the powerful features in Samsung Galaxy Note, it had kept my eyes open and really makes me want to grab a unit right now. I believe that it has the potential to steal the lime light in the market after seeing the positive reviews of Samsung Galaxy Note from mobile providers’ websites. All I know Galaxy Note is just coming to Malaysia few days ago, and I wonder how lady so fast get her hands on the unit. Let’s get a glimpse of Galaxy Note here. If you need to know more details, please check out the other fast techno geek people who had their first hands on the unit. You can also see how they’re going to unbox the unit and play around. It’s impressive! For those who want a bigger screen yet something portable and small enough to fit in their pockets. 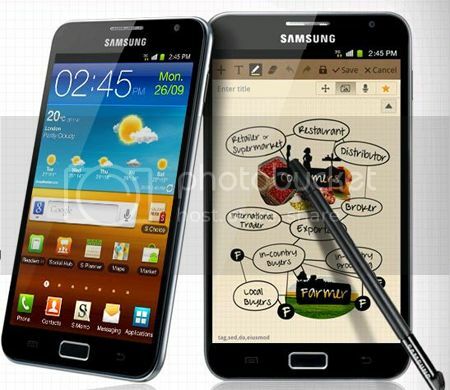 Then, Samsung Galaxy Note is the perfect size that can meet your needs. So, what are you still waiting for? This entry was posted on Thursday, November 17th, 2011 at 1:54 pm	and is filed under Other. You can follow any responses to this entry through the RSS 2.0 feed. You can leave a response, or trackback from your own site.